This revolutionary, 5-module course blends 16 years of experience in offline “old school” strategies with the most modern, cutting-edge online marketing strategies to date. Through clear, step-by-step systems, you’ll learn how to become a hybrid networker and grow your business without all the time-consuming mumbo-jumbo like live parties, weekly meetings or 3-way calls! “I gained over 170 followers, received over 300 friend requests from qualified leads and signed up 17 people into my business in 30 days. 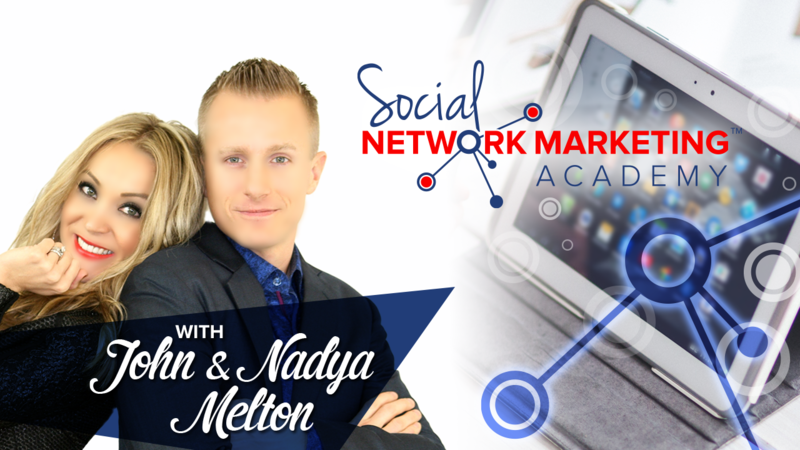 Big shout out to John and Nadya's SNMA course which walks you through step-by-step on how to build a duplicatable business using social media.” - Shivang J. “I've been looking for this level of mentorship for a long time. I've found the best of the best with John and Nadya Melton. On the court experience is the 'secret sauce' to the SNMA course. I'm getting 10x more engagement, increasing my prospect pool and customer base. Highly recommend! " - Karen K.